Looking for Bombs and for Tumors: When Does Risk Outweigh Benefit? On Friday night, to coin the phrase of writer Anne Lamott, I began the “sh#*tty first draft” of a new blog post discussing the TSA’s use of full body scan radiation at the airport. I’ve blogged before about how the health care industry looks to the airline industry for quality control ideas. The TSA uses two kinds of scanners, and one of them uses radiation with little safety monitoring for the cumulative exposure of their employees, airline passengers, or flight crews. Health care can provide quality control models of x-ray scanner safety to the TSA. On Saturday morning, I awoke to the news that the FBI thwarted a terrorist bomb plot in my hometown of Portland, Oregon. 19 year-old Mohamed Osam Mohamud of Corvallis, Oregon tried detonating a van loaded with what he thought were 55-gallon barrels of explosives during the annual tree lighting ceremony in Pioneer Square, “Portland’s Living Room.” An estimated crowd of 10,000 people, many of them children, was gathered in the square. According to news reports, the terrorist said he wanted everyone “to leave the square dead or injured.” Thanks to FBI intervention, the bomb was inert. No one was physically injured, but terrorism has found its way to my front door. I went to work on Saturday morning with a heavy heart. When I found a tumor hidden like a bomb inside my body, I wasn’t 40 years old yet. Overnight, my life changed. Despite my personal experience, the new recommendations for mammograms suggest that risk outweighs the benefit of screening for most women under age 50. According to the task force, regular mammograms for women aged 40-49 over a 10 year period saves one life out of every 1,904 women screened. Their data suggests that the risk of breast cancer is too small to warrant mammograms for women younger than 50. Self-breast examinations, once vigorously encouraged, are no longer considered reliable. I wonder how many people have to receive a full body scan in order to apprehend one suicide bomber at the airport? Are the enhanced pat downs effective? The TSA focuses on preventing mid-air explosions, but what prevents a terrorist from designing a less spectacular bomb that detonates in a crowded airport during a TSA pat down, or by a hidden accomplice while the suicide bomber steps into the scanner? The car bomb in Pioneer Square did not arrive via the airport. Can the TSA’s addition of full body scans and enhanced pat downs really protect our society from malignant harm? At what point does risk outweigh benefit? 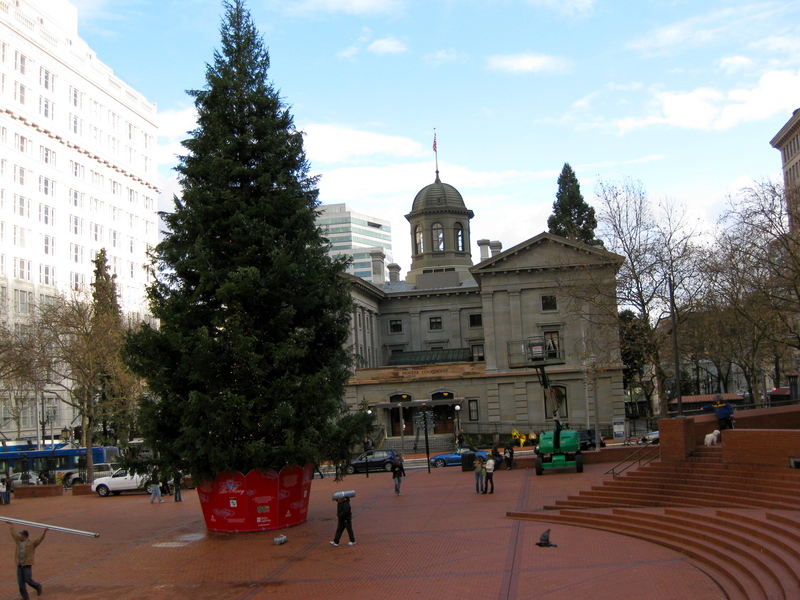 This entry was posted in Issues in the News, Posts About Nursing and tagged bomb threat, breast cancer, full body scans, Mohamed Osam Mohamud, new mammogram recommendations, nurse blog, Pioneer Courthouse Square, Portland OR, Portland OR car bomb, risk versus benefit, rn blog, terrorism, TSA airport security by jparadisirn. Bookmark the permalink.